ALWAYS A GREAT EXPERIENCE TO USE THIS VENDOR NEVER HAD ANY ISSUES. OEM replacement, perfect fit. no problems at all. It took longer than anticipated to get the part but it worked great! Excellent price for an original Honda part. 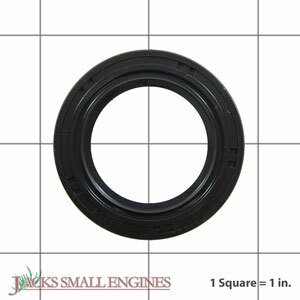 Ask us about the Honda 91202ZL8003 Oil Seal. Please no repair questions. Your Q&A may be posted to Jackssmallengines.com to help other shoppers, like you, with their purchasing decisions. Thank you.